*Water from Sunday’s storm was pumped from the south side to the north side of the basement area. The water is now being pumped into a tank so it can be hauled off. Workers moved the water from the south to the north so excavators next week can finish demolition of the south wall of the main building. *Demolition of the south wall of the main building – and subsequent hauling off of materials – is expected to finish by the end of next week, assuming there’s no more rain. 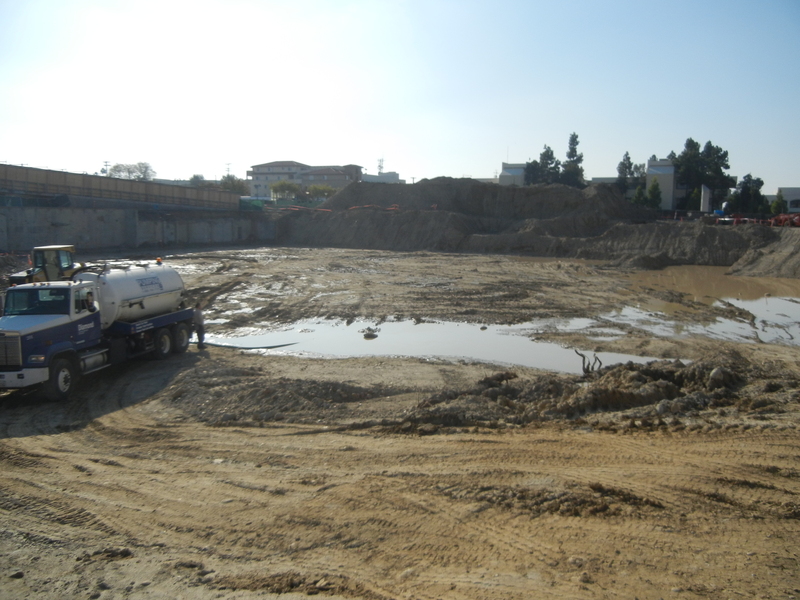 *Grading (over-excavating and re-compacting) in the basement area will resume once demo of the south wall is complete. *Welding of the pipes in the northwest section of the steam tunnel is ongoing. Welding inspection is expected to begin next week. *Manhole #12.1 in the northeast section of the steam tunnel is now complete. 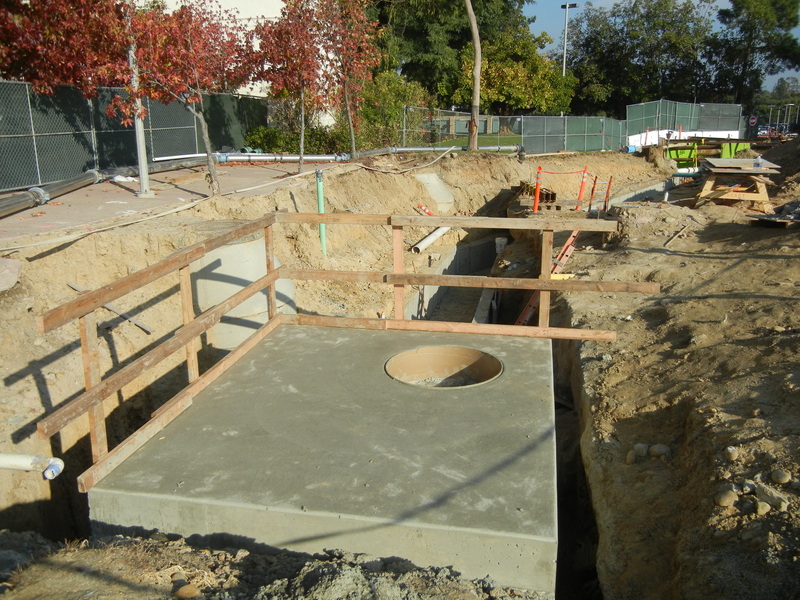 All concrete should be poured for the remainder of the tunnel by the end of next week. *SME Steel out of West Jordan, Utah, which is producing the steel for the project, has started the fabrication of embeds and anchor bolts, which are used to secure steel to concrete. 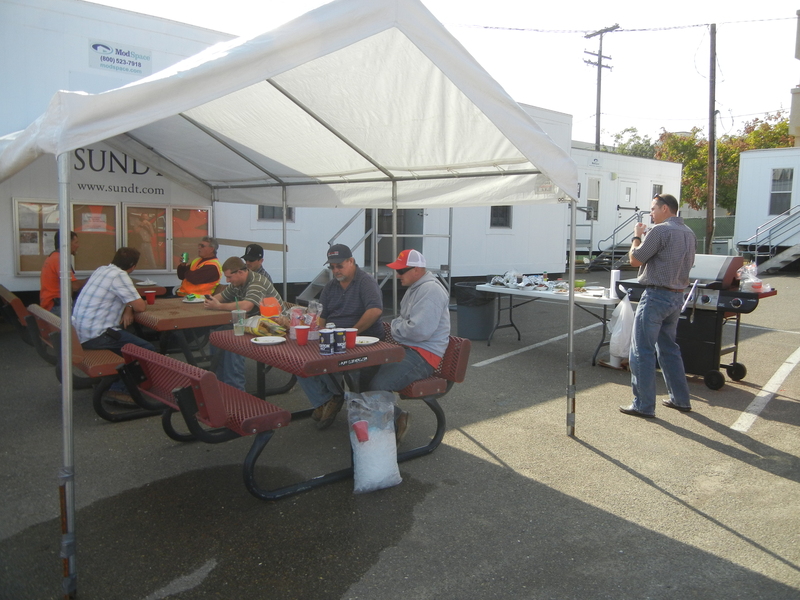 *Sundt hosted a lunch-time barbecue for it’s hard-working team today. The spread included chicken, carne asada, guacamole, and chili-seasoned fruit.